Keywords in Keyword Management are always linked to the keywords in a Keyword Group. 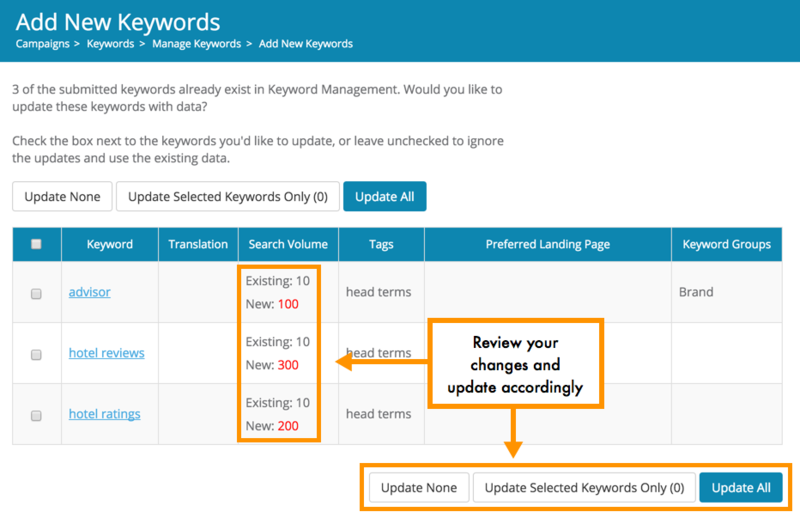 Changes to a keyword in one area affects the same keyword in all other areas. Therefore, we can make bulk updates to keywords in multiple Keyword Groups all at once by editing keywords in Keyword Management. 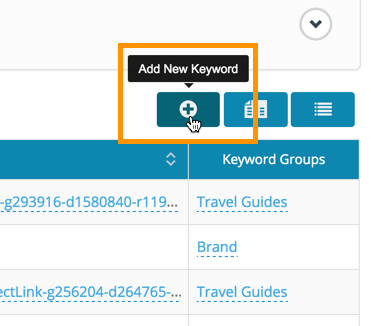 Keywords can be updated either manually online, or by using an Excel file import. If you need to make changes to many keywords at once, you can perform a bulk update by downloading the keywords in an Excel file, making changes, and uploading the new file. To begin, export the data to Excel. Make the desired changes to the file and save it. Remember, if you make changes to the Keyword field, it will not update the keyword, but add a new one, since this is the field used to identify the keyword. To upload the file, simply follow the same procedure you would for adding new keywords by file. Choose the Excel file you've previously updated. All the updates will be shown here and you can review and update them as you see fit.